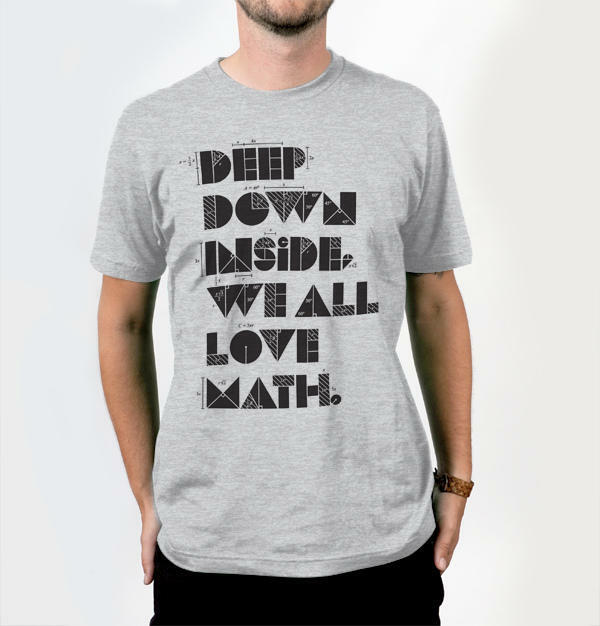 Credit “Deep Down We All Love Math T-shirt,” © 2013 by _Untitled-1, used under a Creative Commons Attribution-ShareAlike license: http://creativecommons.org/licenses/by-sa/3.0. When it comes to membership drives, it’s all about the math. And the number that is staring VPR in the face at the moment is $38,894. That’s how much money we need to raise – each day – for the remainder of this drive in order to reach our goal of $250,000. Our listeners have asked us for less on-air fundraising and so, when we put our membership drive plans together, we reduced the drive from our usual 10 days to just eight. We were comfortable doing that because the number of Sustaining Members has surged in the past year to over 11,000. But the fact of the matter is, we still need to achieve our goal of $250,000 to remain on solid financial footing and to have the funds to pay for all the programming that you enjoy. So tell your friends, your family, and your neighbors: VPR needs you! With just three days left to go, we need to hear from everyone who counts on VPR and VPR Classical to make a pledge…please don’t delay! You are the key to the public radio equation. Please pledge now. If you are a dedicated listener, then you know that we can get a little punchy during our membership drives. Today, we kick-off our September Membership Drive. And although we are still on the air asking for your support, this is definitely not your typical drive. Historically, our drives span 10 full days. This drive is just eight.